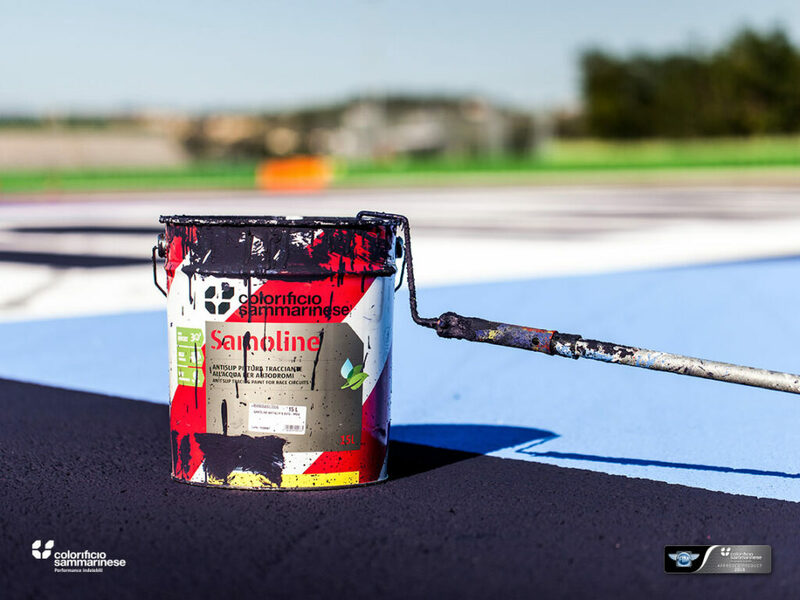 Samoline is the innovative waterborne paint, designed for road marking on motor racing circuits, that grants the same perfect asphalt grip in every weather conditions. 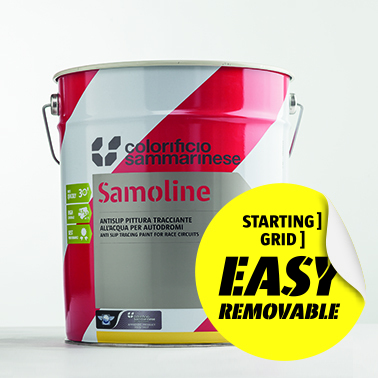 One of its kind, it is widely used in motor racing circuits all over the world and it is among the very few FIM approved tracing paints. 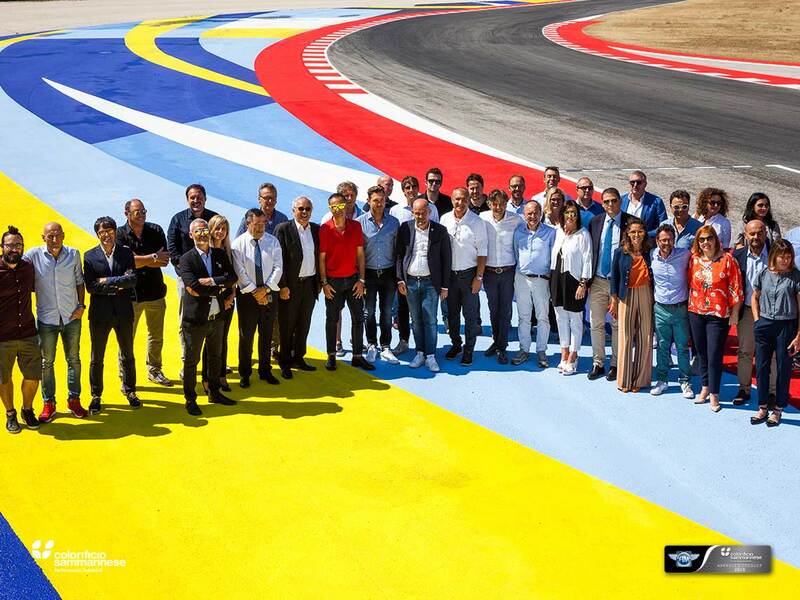 An excellence signed by Colorificio Sammarinese, an achievement due to the constant experimentation and research, with the purpose to always find the most performing and most innovative solution. 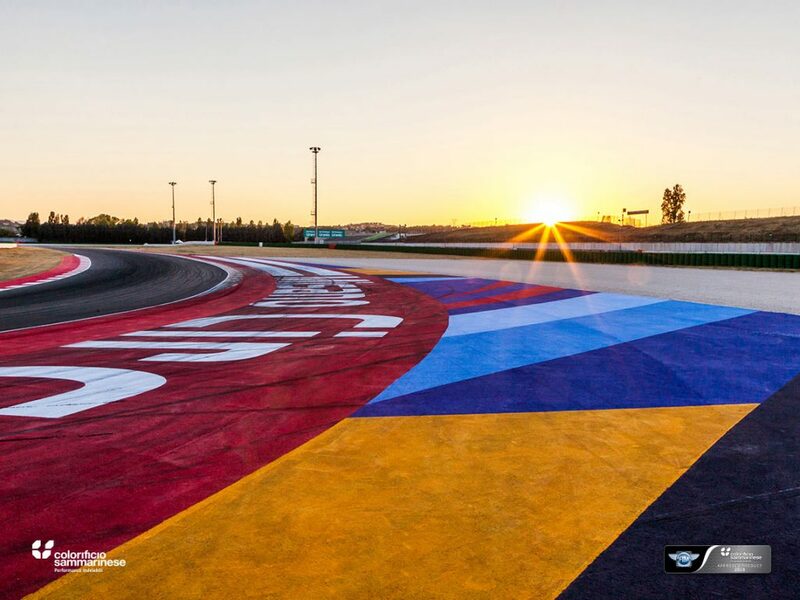 With Samoline painted kerbs and asphalt have the same grip: since its birth in 2000, Samoline has defined a new standard in safety for racing circuits, like Moto GP, Superbike, Endurance or Formula One, ensuring a great grip in all weather condition, both on dry and wet asphalt. 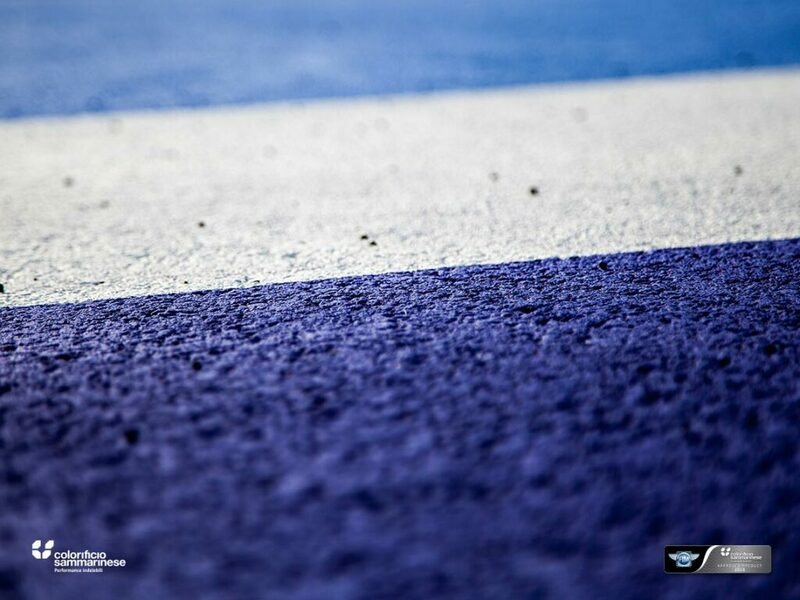 In just 30 minutes the paint is dry: the circuit is ready for the race! 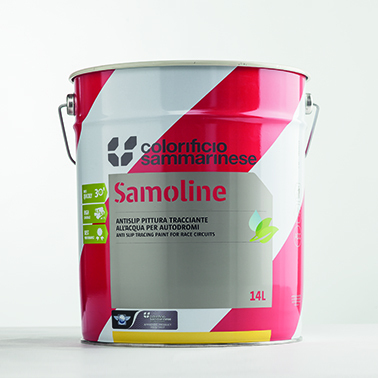 Safety, grip, reliability: Samoline is remarkable, from every point of view!